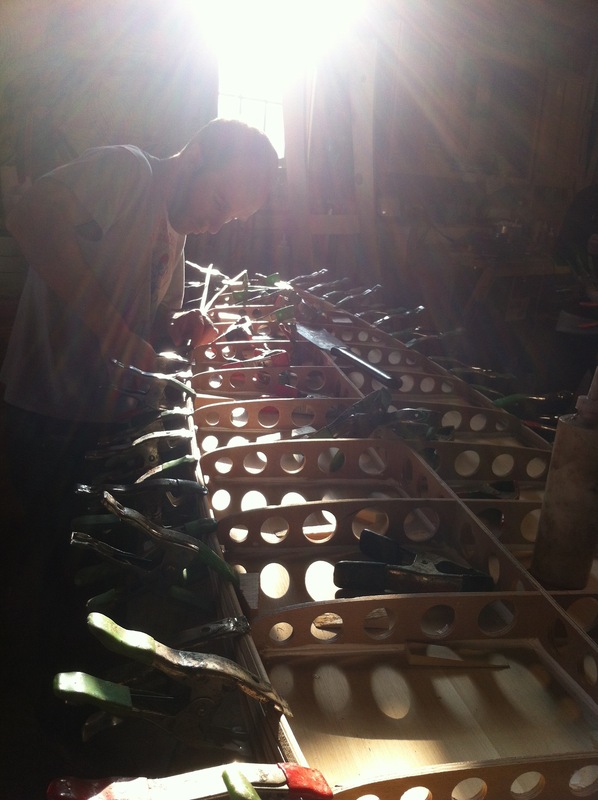 Grain - NY is a new location for Grain Surfboards just outside Montauk, NY on the famed East End of Long Island. Close to the city, but with country quiet and now a full-fledged Grain workshop where you can build your own surfboard, or just drop by to groove on the smell of cedar. Year 'round, surfers, skaters (and others) from Long Island, NYC, coastal Connecticut, and North Jersey can get a taste of Grain right in their backyards. Take classes, demo boards, visit the shop, get schwag - the works! First of all, you can count on the same great experience we've been sharing for years up in Maine. Brian runs the show in New York and he's doing it because he feels - as we do - that the feeling you get from paddling out on a board you built yourself is beyond inspiring and too good not to share. If anyone can tell you what a surprise it is to find your life changed by the simple act of making something beautiful with your own hands, it's Brian. It's more than just fun to build your own surfboard, it often teaches something about what you think your own limits are (hint: you're probably not giving yourself enough credit) or about how rewarding it can be to share a few days with a few like-minded others doing something you'll never forget. So for all you urbanites in the tri-state megopolis that need a little respite from the commuting and the cubicles, we hope you'll head out to the East End... maybe even bring your department along for a little team-building karma-fest... and discover that part of you that's a craftsman. We've had everything from twelve-year-old kids to neurosurgeons take this on with equal success, so come hang out, relax in the shop, and leave with a surfboard. In our three and four day workshops, with Grain board builders by your side, you can build your own wood surfboard... it's an experience you'll never forget because that board will surf for a lifetime. Thanks to the efforts of Brian and Patrick, Grain now has a permanent workshop fittingly located in the small village of Amagansett, New York just west of Montauk on Long Island. Grain Surfboards New York may be close to New York City, but it feels just like our own rural York Maine home. Not only that, but there are some premier east-coast surf spots just up the road. We've always felt we should be spending more time on Long Island since it's a choice surf destination any time of the year. But now Grain New York will be running full-tilt in the summers particularly, with workshops planned almost weekly. They'll have demo-boards to try, and all the tools and know-how needed to help anyone of any age to build their own surfboard. Check the Grain-New York blog (below) and stay in touch with Brian and Patrick on their Facebook and Instagram feeds. And maybe come by the Grain New York workshop, craft your dream surfboard and spend some time while the glue dries surfing the breaks of Long Island's famed East End. Call for group rate discounts for two or more! The full Grain board-building experience, but close to home for Long Islanders, those in coastal Connecticut, North Jersey, or NYC. At the Grain-NY shop, you'll find all the tools and supplies needed to build your own board. We've got a growing demo-fleet of boards to try - if there's time, we can squeeze in a surf and you'll get a preview of the board you're building. In the front room of the shop, we've got some Grain schwag, and in the back, glassing and sanding rooms and a big workroom where you'll spend most of your time. Nearby, there's dining, places to stay, and the beach. For custom boards, contact us at Grain central, because the shop in Long Island is focused on sharing the experience of building your own!